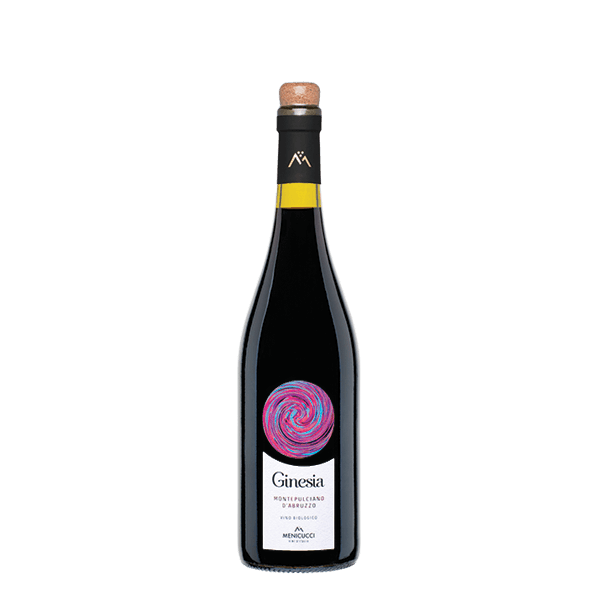 A signature wine from Abruzzo, Ginesia Montelpulciano D'Abruzzo (DOP) is 100% organic Montepulciano grapes. This wine is a strong ruby red color, with lots of red cherry fruit. 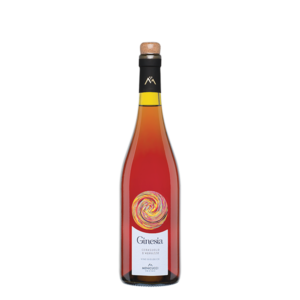 Ginesia Montelpulciano D'Abruzzo is a medium-bodied wine with soft tannins, it pairs perfectly with a variety of meaty pasta sauces or grilled red meats. Production Area: Old vineyards selected in the municipalities of Orsogna, Filleto and Guardiagrele. The soils are made up textured lands and generally end with a limestone substrate and rocky outcrops sparse. The thermal values ​​characterize a rather warm texture, with little annual rainfall and very high temperature ranges; ideal conditions that have a positive influence on the quality of the grapes. Wine-making Process: After careful selection, the grapes are de-stemmed, then, very gently, crushed, causing as little damage as possible to the skins. The grapes are then fermented in stainless steel tanks for 10-15 days at a temperature ranging between 25 and 28 °C. Refinement: Part of the wine is aged in oak barriques, and the other part in steel tanks for at least four months. Tasting Notes: A ruby red color with slight purple shades. The nose is intense, floral, fruity (with a hint of black cherry), with a slight spiciness. 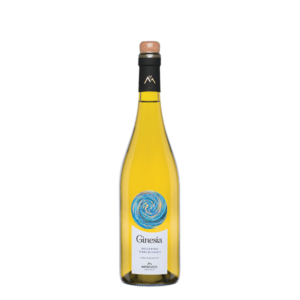 The taste is tannic, full-bodied, balanced and refined with an almond finish. Food Pairings: This bold wine pairs perfectly with a variety of meaty pasta sauces and grilled red meat.